How do we cheat ourselves? Others cheat us surely we would never cheat ourselves!!! 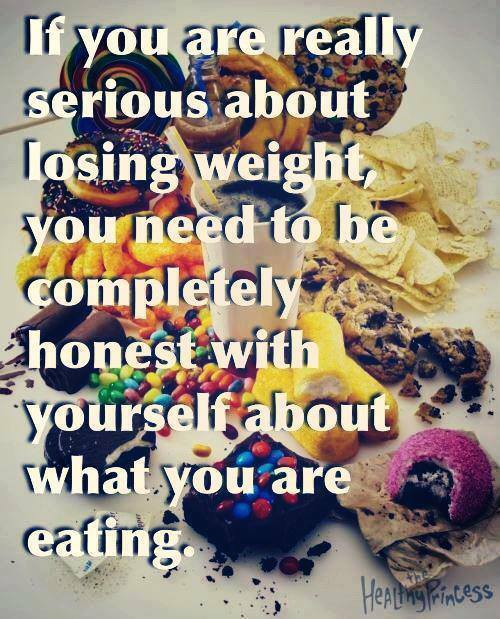 We often cheat ourselves when we are not honest with what we are eating and what we are doing. We would never lie to others but we often lie to ourselves. We climb on the scale to see something we are not happy with and our first response is “BUT I ate all the right things, I stayed within my points…….” Did you? Really? Self-Honesty is another foundation of leading a healthier lifestyle. You might choose to enter that huge chocolate fudge brownie, that extra bite of potatoes, that sip of a milk shake, that extra handful of nuts but in the end your body knows exactly what you did and will respond accordingly. Ignoring that you skipped all your workouts this week will not make the truth go away nor will it help you with that extra indulgence you had at lunch today. If it didn’t happen, it didn’t happen but if it happened, it happened and your body keeps a very accurate record even if you do not or do not choose to! Remember, the only person you are hurting by ignoring or refusing to acknowledge your lack of activity or over indulgence in holiday candy is yourself. When you climb on that scale, you end up frustrated and just can’t understand why you didn’t lose anything this past week or why you gained two pounds ask yourself if you tracked every lick, nibble, sip, and bite during the last week and how much activity you did each day.